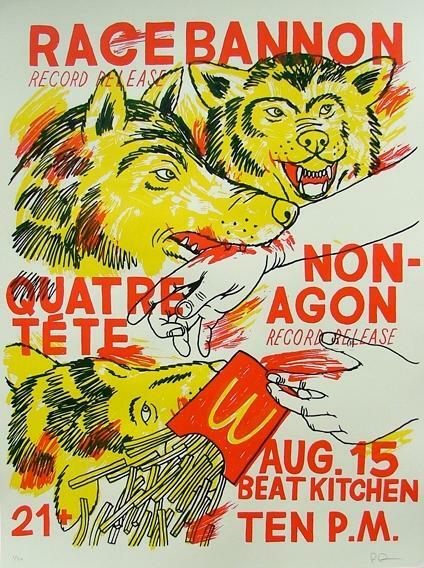 Hey folks this is Nonagon's CD Release party, it's also Racebannon's CD release party and it's also Tony's Birthday. HOLY CRAP! Bring it ONNNN!!!! Click the thumbnail to the left for an enlarged view. After years of flirting around the edges of “respectable” bandliness we’ve rolled up our shirtsleeves, knuckled-down, (ate some pizza), and put together OUR FIRST RELEASE! It’s a CD EP called NO SUN that contains 6 songs we recorded in September ‘07. 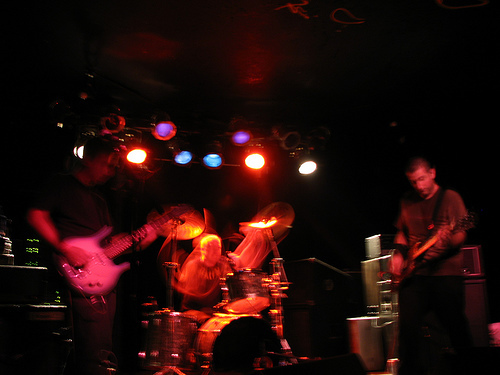 QUATRE TÊTE- a Chicago trio that plays blistering rock that manages to be catchy while displaying advanced math skills. RACEBANNON- a blast-furnace of a band from Bloomington, IN that will likely melt some part of your anatomy.